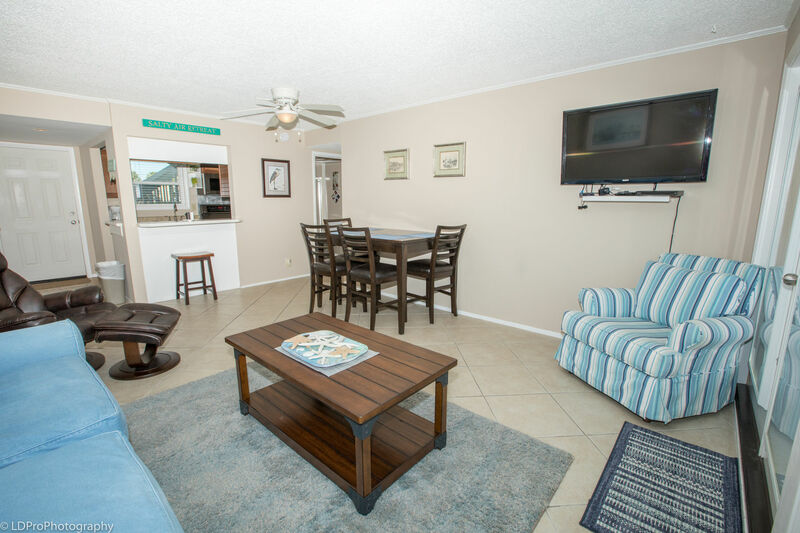 Sandpiper Cove 1059 - Holiday Isle Properties, Inc.
Condo is For Sale - Take a look at your next home away from home, Sandpiper Cove 1059. 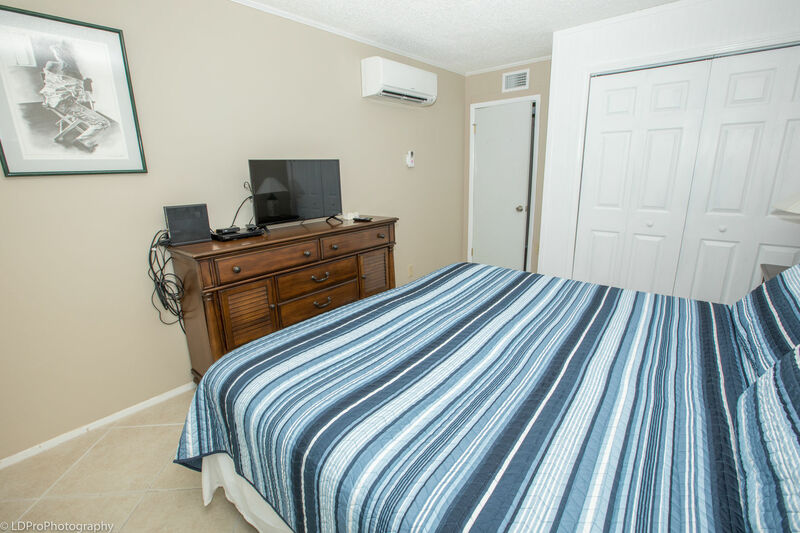 This Pet Friendly one bedroom, one bathroom condo has a King Size bed in the Bedroom, a built in twin bed, and a Queen Size Sofa Sleeper in the Living Room, so your whole family of six and your furry companion can all vacation in comfort and serendipity. 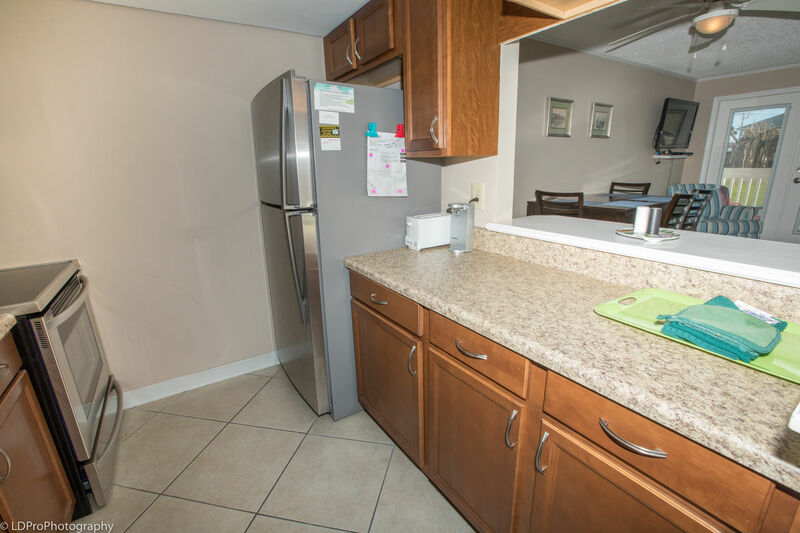 As you enter the condo you will notice the Kitchen on your left and the Living Room straight ahead. 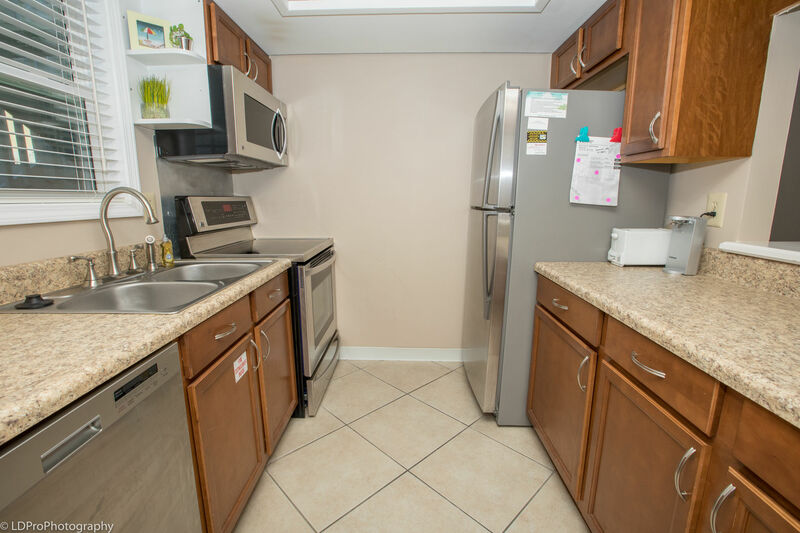 The Kitchen has stainless steel appliances, plenty of counter space, bar seating for two, and all the pots, pans, dishware, and silverware needed to prepare your favorite meal. 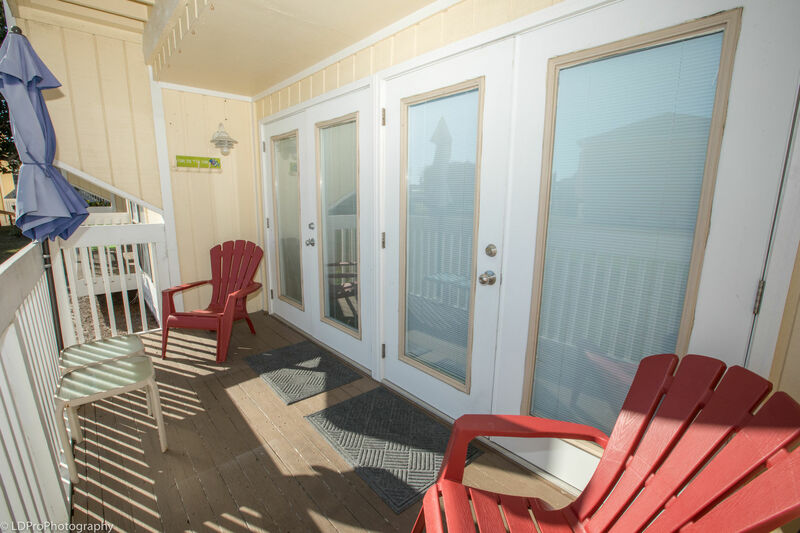 The Living Room has a wicker chair with ottoman, a plush couch that doubles as a Sofa Sleeper, a soft sitting chair, a flat screen HDTV, HD Cable, a DVD Player, and two sets of French Doors leading to the Deck. 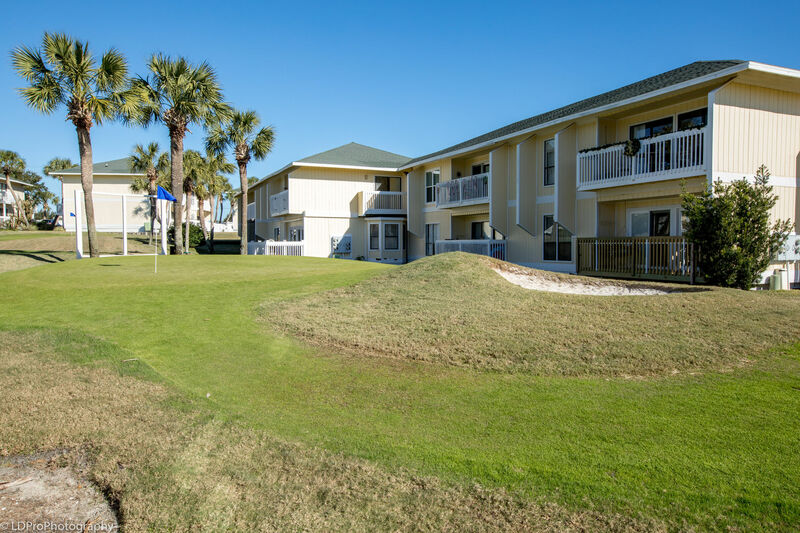 The Deck overlooks hole number six of Sandpiper Cove’s nine-hole par three golf course, and has steps leading down so you can walk directly to the pool or the course. 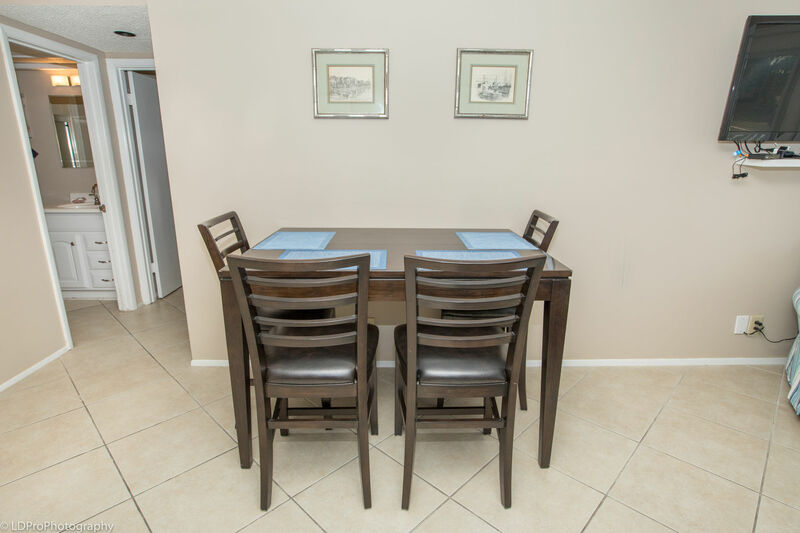 Going back inside and walking through the Living Room, you will pass the Dining Table set for four guests as you turn left and head into a hallway. 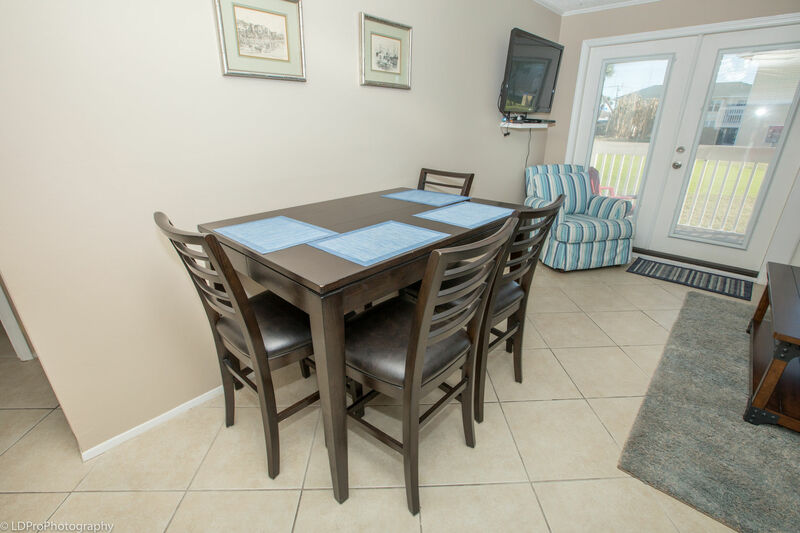 The Dining Table can be pulled away from the wall and allow two additional guests to be seated, totaling six dining guests. Standing in the Hallway, the Bathroom will be on your left, the Bunk Bed Room will be straight ahead, and the Bedroom will be on your right. 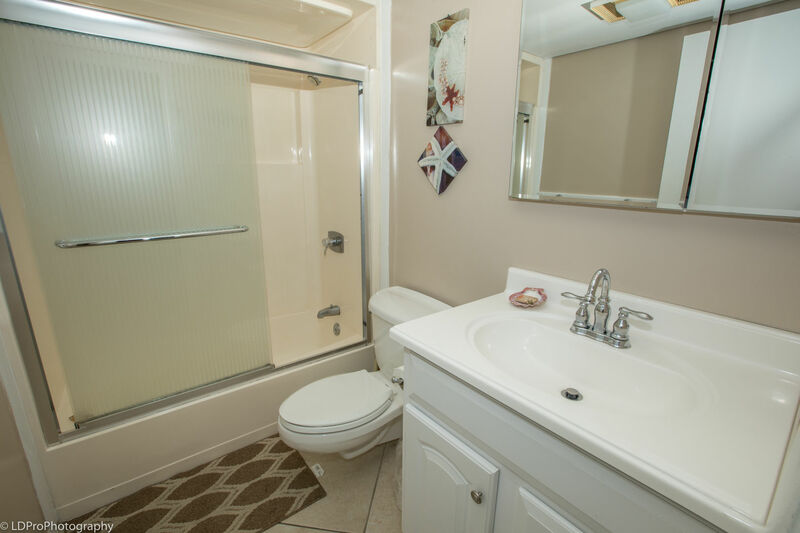 The Bathroom has a bathtub/shower combination. 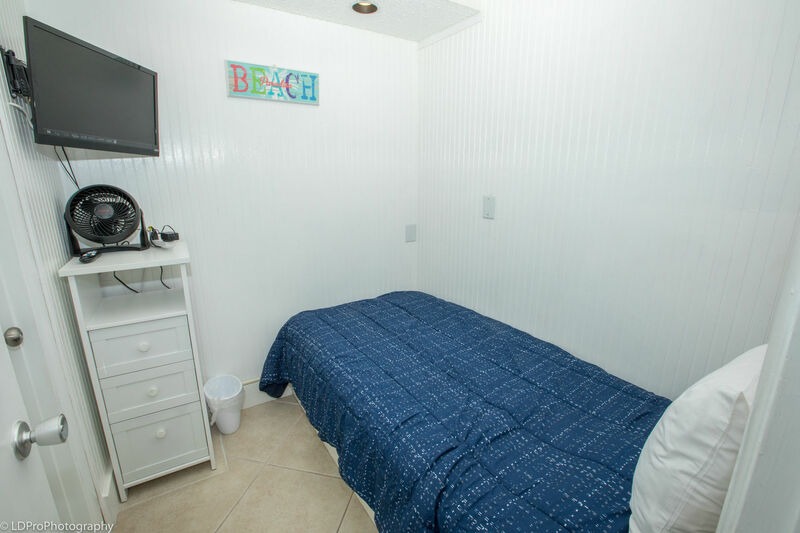 The Bunk Bed Room comes with a wall mounted HDTV, HD Cable, a DVD player, a small dresser, and two bunk beds. 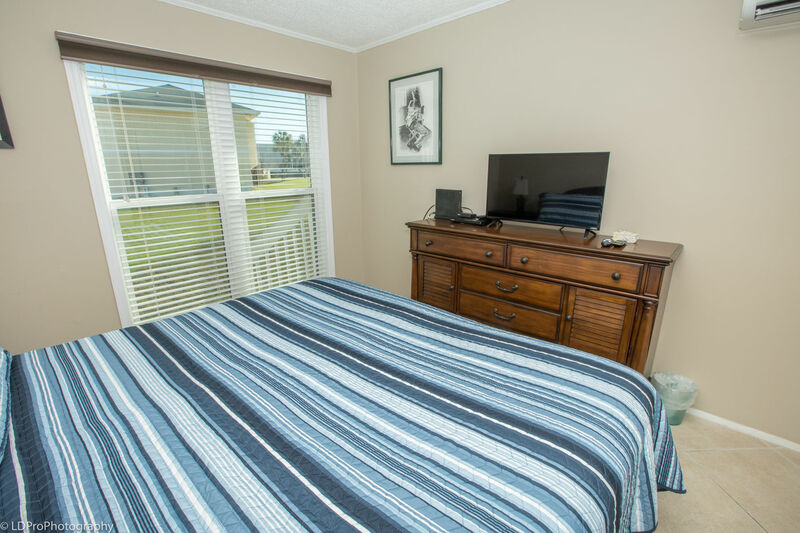 The Bedroom is large and has a King Size bed, a wall mounted HDTV, a spacious closet, two night stands, a large dresser, and dual windows looking out over the greens of Sandpiper Cove. 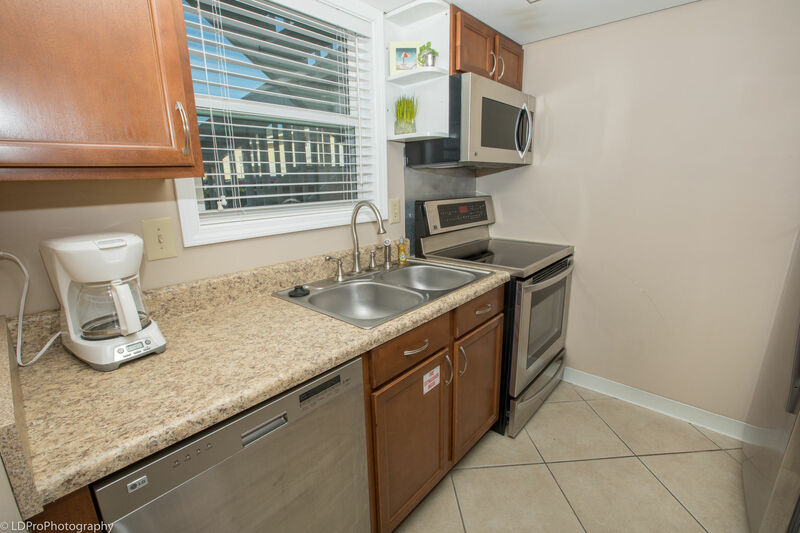 This condo is Pet Friendly and comes with a Washer and Dryer, as well as complimentary Wi-Fi internet access. 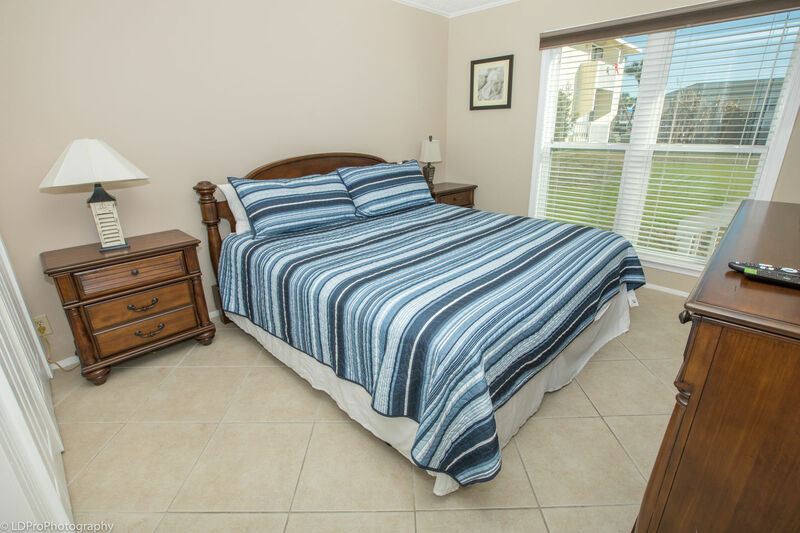 You'll have a five to seven minute walk to the beach with complimentary private beach front parking and beach front bathrooms to use for your convenience. Sandpiper Cove, a 43 acre resort, has eleven hundred feet of sugar white beaches that rest against the Gulf of Mexico. Along with Sandpiper Cove’s nine-hole golf course, there are also tennis courts, boat docks, three hot tubs, five pools, and multiple BBQ grills scattered throughout the complex. Boat docks can be rented for an additional fee. 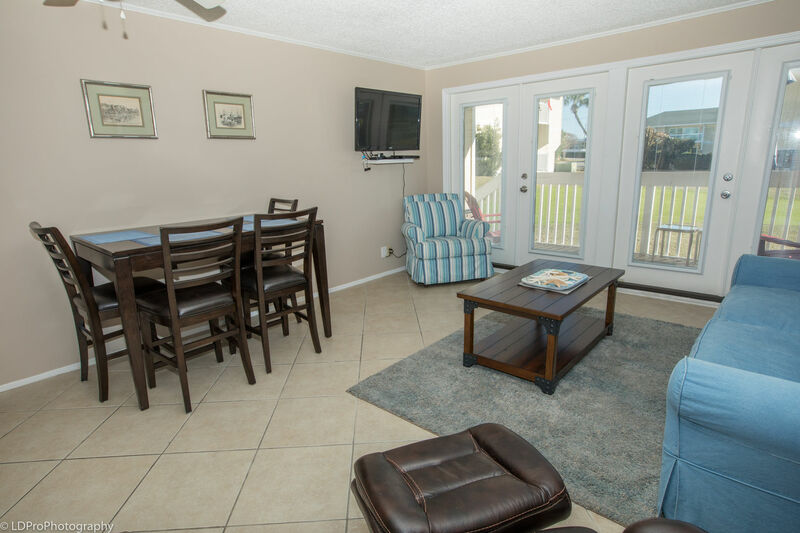 There is a beach front open air restaurant at Sandpiper Cove that is open in season (Rick’s Sandtrap), as well as a harbor front restaurant open year round (Louisiana Lagniappe). 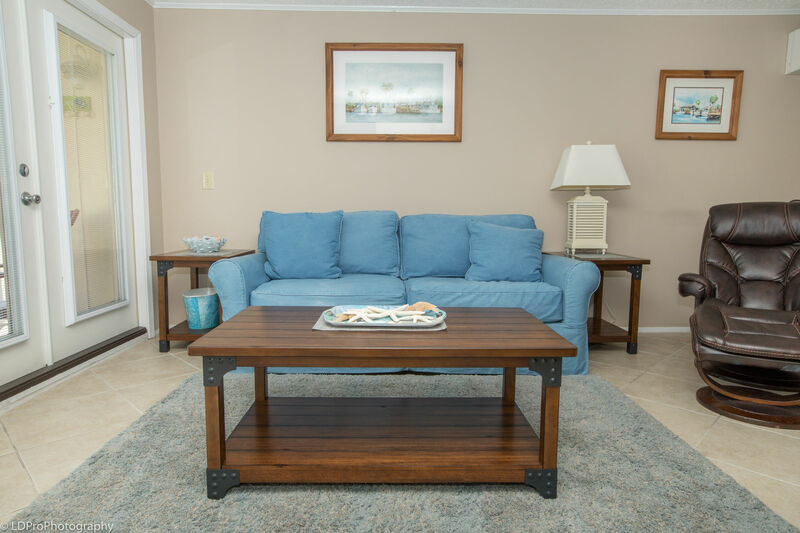 With virtually everything going for it, and priced to please, book Sandpiper Cove 1059 while it is still available and come see why so many call this condo their family’s home away from home! Great Vacation!! 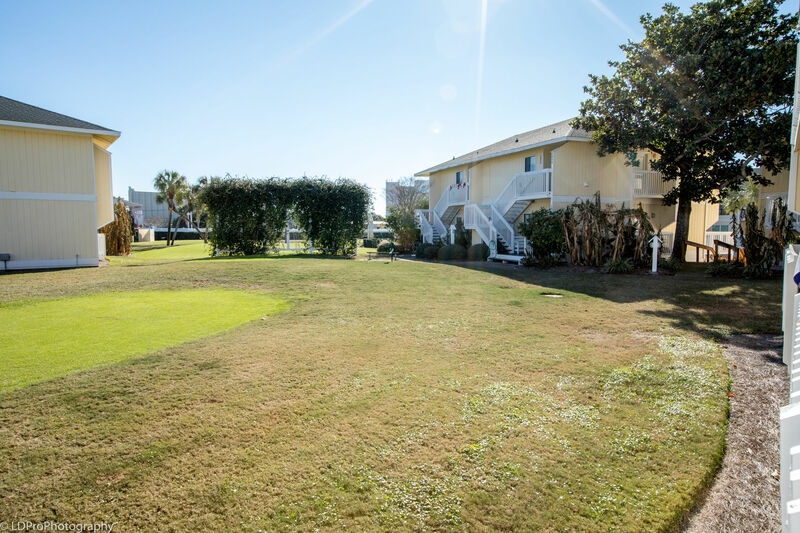 Walking distance to a private beach of the community, mini golf course throughout the property. Everything was great! Only downside is the deck is a little small, but seeing as we didn't spend much time in the place and the majority of it was spent at the beach and participating in activities it wasn't a problem. If it would've been a longer trip, it may have become an issue. Overall I'd stay there again in a heartbeat. 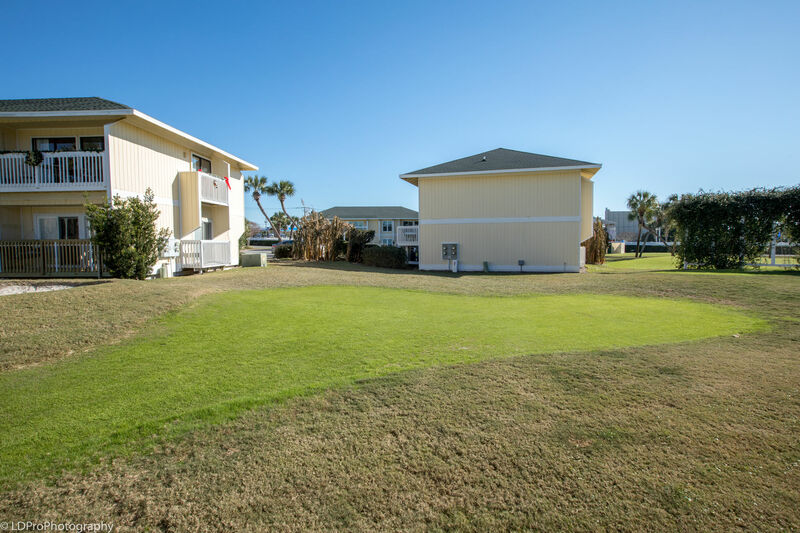 Beautiful place to visit with immediate access to the beach and golf. Thanks!